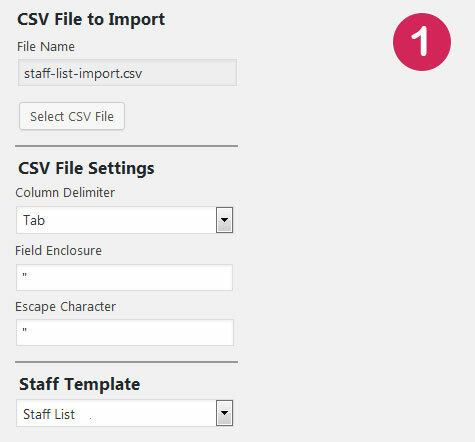 WordPress Plugin Staff List CSV – Import. 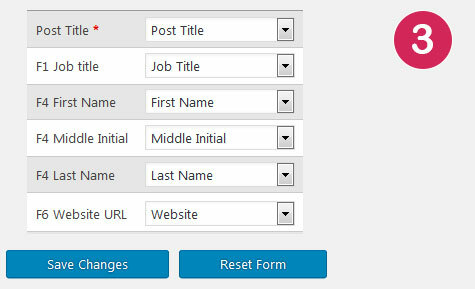 Upload CSV file to WordPress Media Library. CSV File. Select CSV file from WordPress Media Library. File Format. Set Column Delimiter, Field Enclosure and other options. Template. Select Staff List template. If file is not properly formatted, check file format settings. Do not proceed if CSV file is not properly formatted. 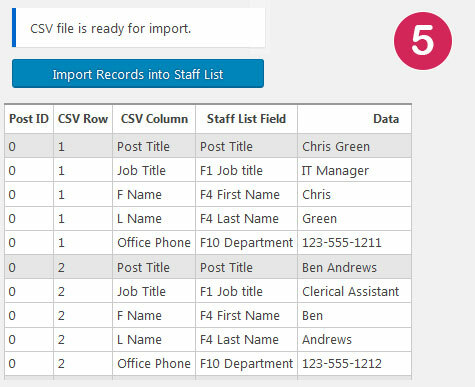 Left column: Staff Template fields. Post Title is required. Other fields are optional. Fields are mapped not by a CSV column name, but by the column position. If you add, remove or move a column, redo the mapping. 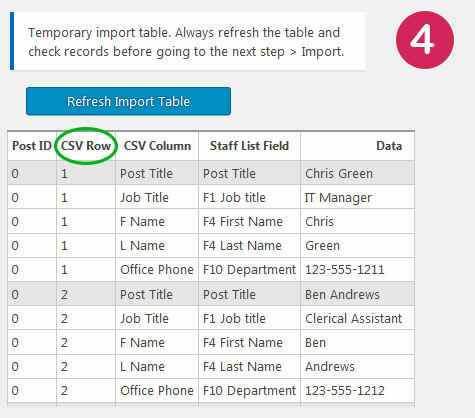 CSV file is loaded into a temporary table. Always refresh the table and check records before going to the next step. Records from the temporary table are copied to Staff List. All records should have the Post IDs. Check Staff Members. You should see all imported records. 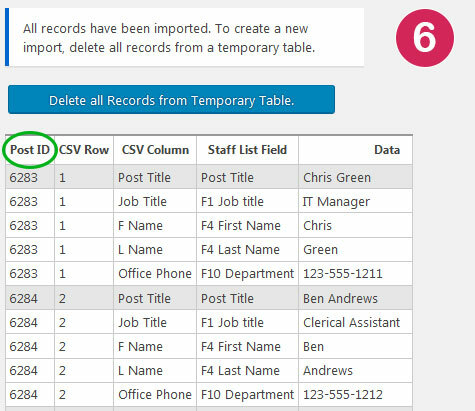 To create a new import delete all records from the temporary table.